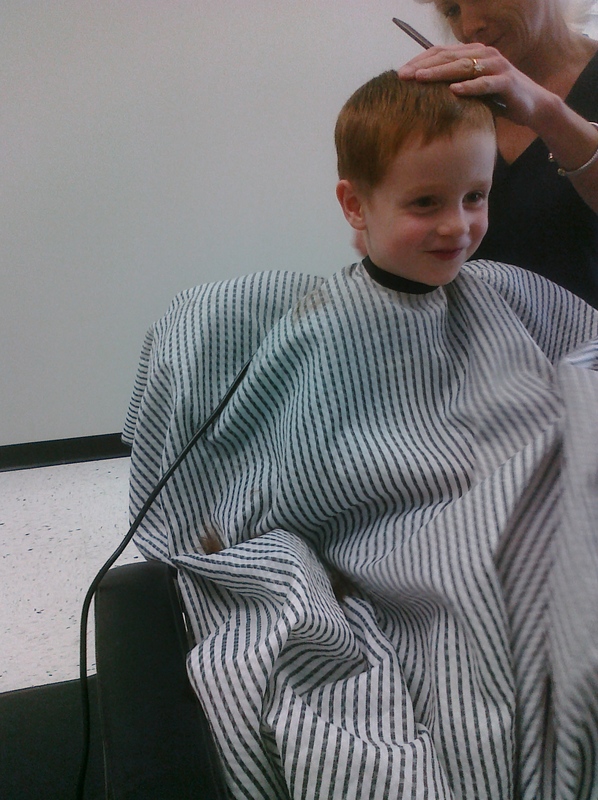 Burke’s first (very successful) trip to the barbershop! That and the fact that Mommy doesn’t have to buzz his hair anymore Makes my Monday. I love it! He looks so cute and happy. Cakes looked like she was going to the electric chair the first time we took her for a haircut! Look at the self-possession on that adorable face! Hey, that’s Barber Dianne…..the Thomas boys all go there!! T&M started with Barber Don..who was the absolute BEST (he’s Dianne’s dad)…but he retired recently!! Burke is looking super sharp! Oh that is such a biog boy smile. He looks like he’s enjoying it! Glad it was a success!